Learn to tie 17 popular nymphs, dry flies, and streamers Master fundamental tying techniques in a series of practical lessons Charlie Craven's Basic Fly Tying is a modern course in fly-tying fundamentals covering the essential tools, materials, and techniques needed to tie a wide range of popular flies. With 1,000 photos, Craven covers cutting-edge techniques for the more tried-and-true classics, such as the Royal Wulff, Adams, and Hare's Ear, and shares innovative approaches to current patterns such as the Brassie, RS2, and Copper John. With clear, concise text, Craven provides tips and techniques from his over thirty years of tying flies for fly shops on Colorado's Front Range. 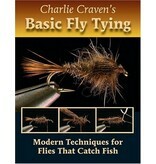 This book is built on Craven's successful fly-tying classes, which start out with simple flies and work toward more complex patterns, all the while teaching techniques and introducing materials by tying popular patterns that catch fish in Eastern and Western streams. This series of lessons show how flies build on one another, enabling readers to tie a wide range of patterns simply by breaking them down into parts. Craven illustrates the progression with his meticulous directions to fingerbusters like Copper Johns, Stimulators, and Humpies. 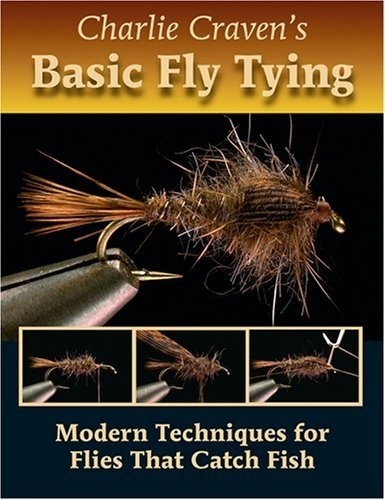 This book, which is sure to become a standard text for basic fly tying, covers 17 flies (including recipes for popular variations), including the Brassie, Black Beauty, RS2, Hare's Ear, Pheasant Tail, Prince Nymph, Copper John, Woolly Bugger, Elk Hair Caddis, Stimulator, Adams, Rusty Spinner, Parachute Blue-Winged Olive, X Comparadun, Royal Wulff, Humpy, and Goddard Caddis.